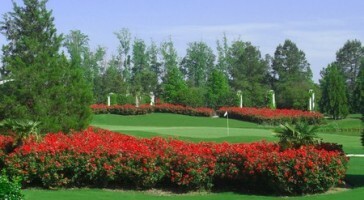 This Virginia Beach Golf Vacation promotion includes golf on courses designed by some or the biggest names in golf. 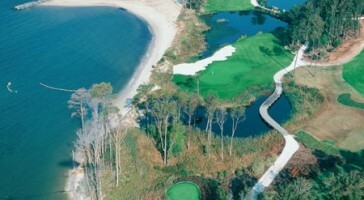 Bay Creek Resort has courses designed by Arnold Palmer and Jack Nicklaus course both with stunning views of the Chesapeake Bay and some of the best playing conditions in the region. Signature at Westneck is another very good Palmer design and Virginia Beach National formerly TPC Virginia Beach and host of a Nationwide tour event was designed by legendary course architect Pete Dye.